A Rooted in Jesus team consists of 4 to 6 people who have been trained and authorised to facilitate a Rooted in Jesus conference. The Team Leader will always have a good track record of Christian leadership, will normally be an ordained minister, and will have prior experience of Rooted in Jesus. 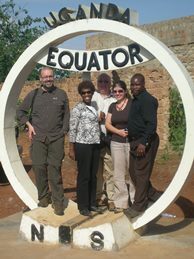 Each team also includes a Rooted in Jesus coordinator from a diocese where the programme is already in use. Team members will be invited to join the team according to its specific needs, but we give priority, amongst other factors, to people who may be able to lead future teams, who come from a diocese linked with the receiving diocese, and who (for RinJ Junior) have teaching experience. We do not accept unsolitcited applications to join RinJ teams. If you have been invited to join a team, please download the team registration form*, complete it and post to the Rooted in Jesus administrator (we need a hard copy, please). We need one of these FOR EACH TRIP YOU UNDERTAKE, with the £50 contribution towards our overheads. We will send you a full set of books as soon as we receive your form and cheque. 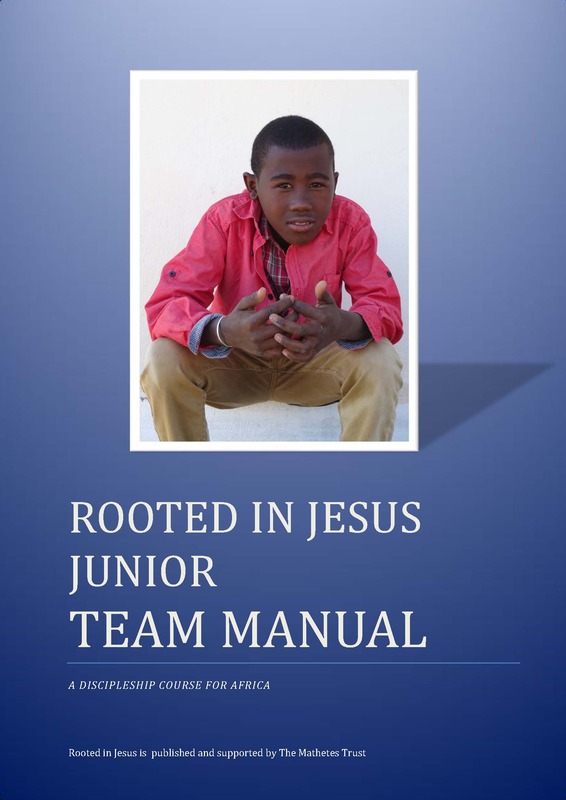 The conference programme is contained in the Rooted in Jesus Team Manual, and all team members are provided with a copy of this, along with our introductory booklet When in Rome. Please read 'How to use this manual' and sections 1-4 and 9 as soon as you receive it. The team leader will provide you with guidance on which other sections you will need to study for your particular trip. Please read When in Rome carefully, and fully - even if, as they say, you are a frequent flyer. It contains essential information not just about cultural differences but also about the Dos and Don'ts of ministry with Rooted in Jesus in particular. 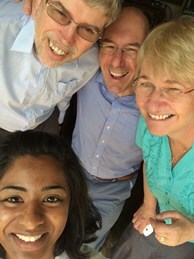 People who have been on RinJ teams usually return home encouraged, inspired and refreshed for ministry in their own contexts - read some of their comments below. It is a great privilege to serve the Lord in this way, and it is our experience that we receive far more than we give as we work together with our brothers and sisters in Africa. Enjoy! Although Rooted in Jesus teams do not work directly with children or vulnerable adults, we take safeguarding seriously. RinJ team members have a track record of fruitful ministry as ordained ministers, teachers or lay leaders, and are asked to provide references and a copy of their current DBS certificate. For more information click here. 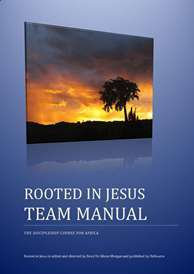 A Team Manual with background information to the course, conference timetables, full notes for the individual sessions, and information and testimonies from the various places where Rooted in Jesus is in use. 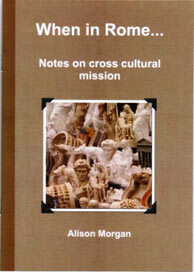 A booklet on the joys and pitfalls of cross-cultural mission, When in Rome...This includes a recommended reading list to help you orient yourself culturally; for a more detailed list click here. All team members should READ the team manual and When in Rome IN FULL well in advance of departure, and prepare the sessions allocated to you by the Team Leader. The Team Leader should pay particular attention to the Team Leader Checklist in the Manual - the primary responsibility for ensuring that all the appropriate arrangements are in place is YOURS. Usually the initial invitation is handled through the office, and once the overall arrangements have been agreed the Team Leader takes over and handles the practical details. The Team Leader will hold a preparatory team meeting for the UK team members once the team is complete, at which s/he will allocate teaching and other responsibilities. Prayer : You should ensure appropriate intercessory arrangements have been made with your local church and with Clemency Fox, the RinJ intercession coordinator - contact details from the office. "We did what we did because of your prayers" (Alfred Sichone) is a typical response from team members. Finance : Please read the section below carefully and take appropriate action. Each team member is expected to cover the cost of their own air fares. We also ask that you contribute £50 towards the overheads of the trip at this end for each visit that you undertake. We will provide you with the books and materials you need. You should also take some cash with you, to cover local transport costs, incidental expenses and emergencies. In all you should budget for an average outlay of about £1000. Rooted in Jesus is a self-supporting ministry with no central funding. Whilst it is our experience that the Lord always provides what is needed, contributions towards the costs of printing the materials and subsidising the conferences are extremely helpful. We invite you to consider whether you or your church can contribute either towards the direct costs of the trip you are involved in, or towards the development of Rooted in Jesus there and elsewhere in the future. 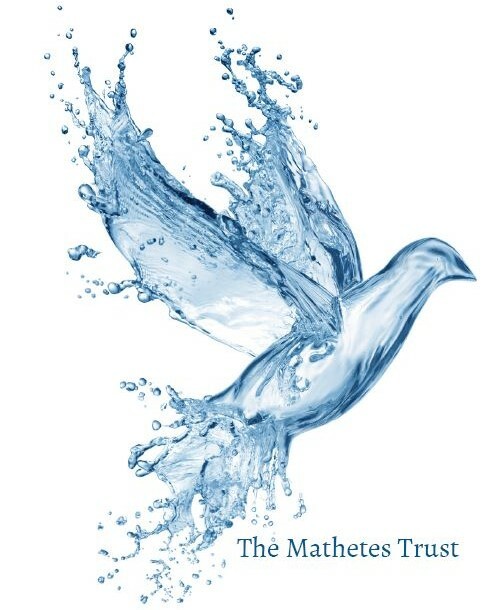 Whilst there is no obligation to do so, we have found that when a local church commits to either financial or prayer support for a mission it does significantly raise the mission temperature at home; and without such support we cannot ultimately run the programme. It is possible to be creative about this - one recent conference was funded by two churches, one of which made a donation and the other of which supported a 24 hour sponsored preach. Team members have also sometimes set up their own online sponsorship page, with contributions (including Gift Aid) paid directly to RinJ to help with the costs of a particular visit. 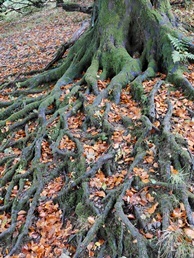 Contributions should be made payable to 'Rooted in Jesus' and sent to the Rooted in Jesus administrator at 10 Dairy Close, Wells, Somerset BA52ND (not, please, to the team leader); or can be made online, gift-aided if appropriate. For other ways of supporting RinJ see our support page. Whilst team members should take enough money with them to cover incidental expenses, they are asked not to respond to requests from individuals or projects for additional donations. We have learned from experience that this can become a source of a great deal of tension, and is likely to cause more problems that it solves. Other organisations have a similar policy, and we ask you to adhere to it even if that seems tough. * NB If you can't open any of the documents on this page, download the free Adobe Acrobat Reader here.